This 4 bedroom / 2 bath home in 'The College Heights' is a must see. Walk into open area living room area with 'theatre nook'. Open area kitchen / family room with fireplace and barstool granite countertops. Mr. & Mrs. clean live here so the house is immaculate!! High ceilings, and open hallways lead to the separate bedroom areas for lots of privacy. The perfect neighborhood to have your kids play outside, and the garage has a 'man cave' pool table set up. Master bedroom has lots of space with 2 walk in closets and large tub and separate shower. The backyard is ready for you to customize with lots of possibilities. 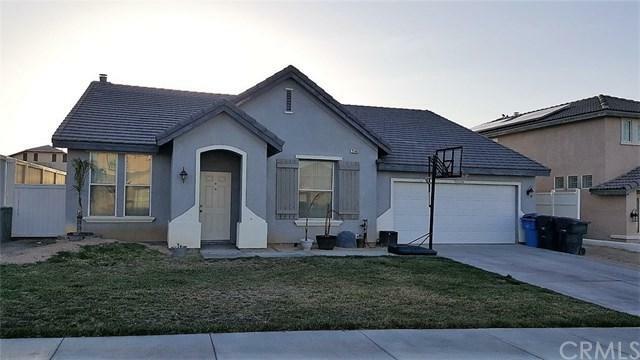 Close to Barstow Community College and just a few minutes from freeway access. You don't want to miss this one! Sold by Ruth Feast of Century 21 Desert Rock.